Le Vistro is the epitome of traditional Belgian cuisine, thanks to its preparations from handcrafted products issued directly from the depths of our countryside. Le Vistro is a place of discovery and extraordinary culinary surprises. Our carefully chosen beers, from small independent breweries, will transport you to the home of forgotten flavours! 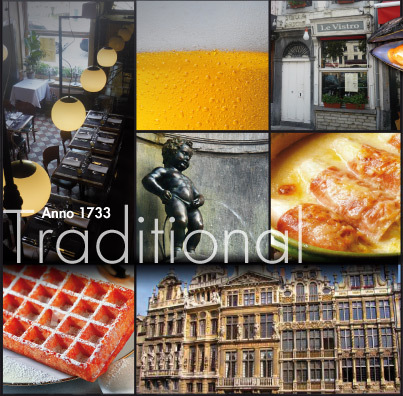 The warm, welcoming atmosphere of this typical 18th century little restaurant, adds the final touch to your tour of “Old Belgium” by immersing you in the rich architectural past of the Marché aux Poissons, at the heart of the European capital. Open from Wednesday to Sunday from 12h00 - 14h00 and 19h00 - 22h30 - closed on Monday and Tuesday. Telephone booking only.